Franklin School for the Performing Arts (FSPA) presents an all-student production of the hit musical GREASE this Saturday, February 6, at 2 and 7:30 p.m. Performances will be staged at THE BLACK BOX, 15 West Central Street, in downtown Franklin. 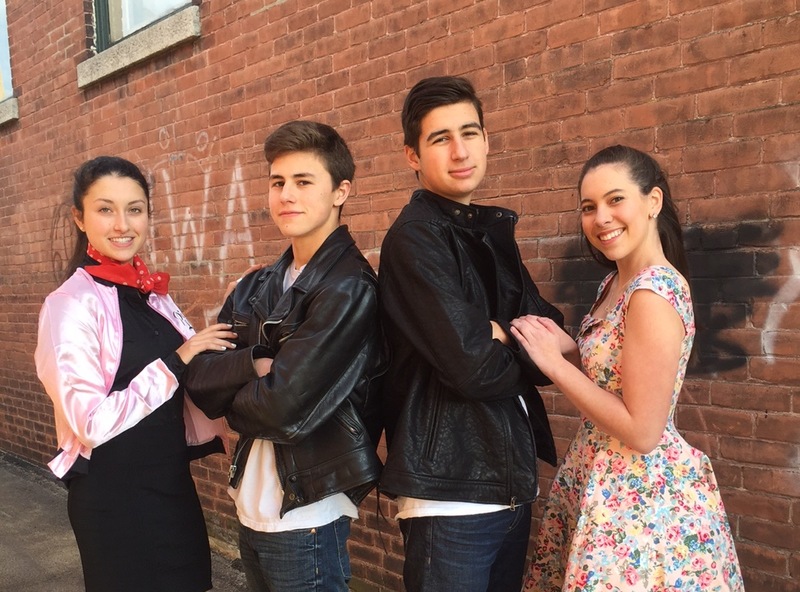 The production features FSPA students in all levels of musical theater as the memorable teens of Rydell High, including greaser Danny, girl-next-door Sandy, the T-Birds and Pink Ladies. FSPA’s production of GREASE is directed by Raye Lynn Mercer, with music direction by Hallie Wetzell. Featured cast members include Brian Barrett (Eugene) of Foxborough; Jason Barney (Roger), Julia Buccella (Patty Simcox, evening), Brooke Collins (Rizzo, afternoon), Kendra Dombroski (Sandy, evening), Aaron Frongillo (Danny), Collin Hancock (Vince Fontaine), Jocelyn Jones (Miss Lynch), Catherine LeClair (Frenchy, afternoon), Akira Ontsuka (Kenickie), Deanna Rivera (Jan, evening), Katharine Waples (Marty, afternoon), Caitlin Woodcock (Jan, afternoon), and Melissa Wyner (Cha-Cha, afternoon) of Franklin; Caroline Merten (Cha-Cha, evening) and Joey Soares (Sonny) of Hopedale; Sam Evans (Johnny Casino) and Colie Vancura (Sandy, afternoon) of Medfield; Maddy Williams (Frenchy, evening) of Medway; Katie Gray (Marty, evening) of Milford; Nicholas Steiner (T-Bird) of Millis; Mairead Nee (Patty Simcox, afternoon) and Griffin Wilkins (Doody) of Walpole; and Jenna McDermott (Rizzo, evening) of Wrentham. GREASE is one of several FSPA all-student productions that will be staged at THE BLACK BOX from February through May. Others include the plays Metamorphosis and Ali Baba and the Forty Thieves; the ballets Class Concert, Graduation Ball and Western Revelries; and a program of Opera Scenes and Arias. Tickets are $24 for adults and $20 for students and seniors. For more information, call (508) 528-8668. To purchase tickets, visit www.FSPAonline.com. GREASE is presented by special arrangement with Samuel French, Inc.